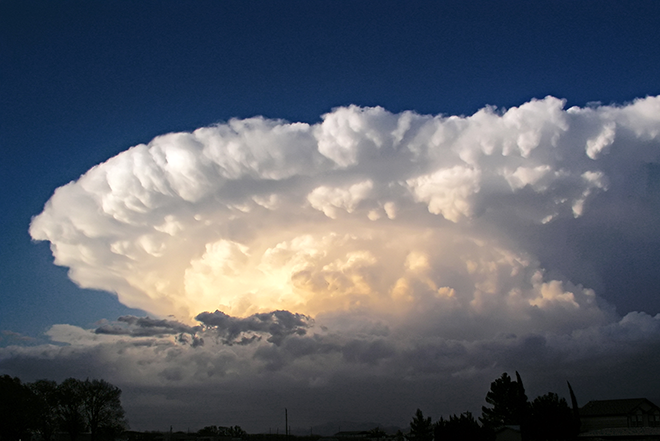 Sunday marks the start of Severe Weather Awareness Week in Colorado. Spring storms, with the potential for tornadoes, flash flooding, hail and other dangers, are just around the corner, and everyone should be prepared for sudden weather risks. KiowaCountyPress.net and Plains Network Services are again giving aware three weather radios to help raise awareness of the weather dangers across the eastern plains of our state. We are also running a series of weather preparedness articles from the National Weather Service throughout the week to help you ensure your family's safety. Our staff members have used weather radios at home and in the office for years to help ensure our safety when severe weather strikes. Our radios produce a loud tone when an alert is issued, ensuring that we can take action even for storms in the middle of the night. Batteries provide assurance that alerts are received even when the power is out. The Midland brand weather alert radios we are giving away have these features and more. 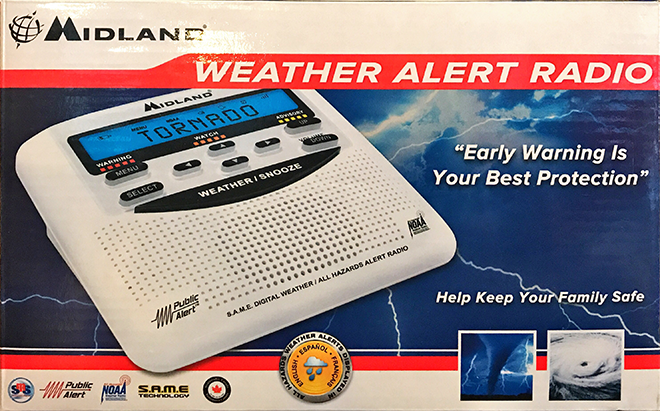 To register to win one of these radios, stop by 1208 Maine Street in Eads before 4:00 p.m. April 27, 2018, and check www.KiowaCountyPress.net each day this week for more information about spring weather safety. KiowaCountyPress.net is a National Weather Service Weather-Ready Nation Ambassador and is committed to helping ensure you are prepared for weather conditions throughout the year.